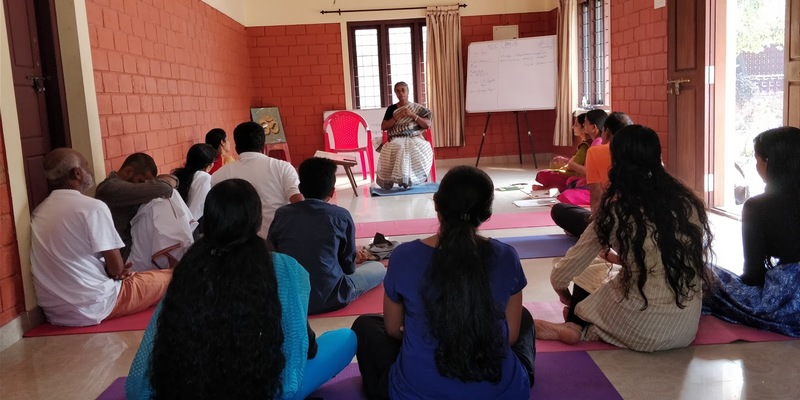 Students of Yoga Certificate course in Malayalam under Kanyakumari Centre were invited to a two-day residential camp to get accustomed to the regular routine of the Kendra Shibirs. 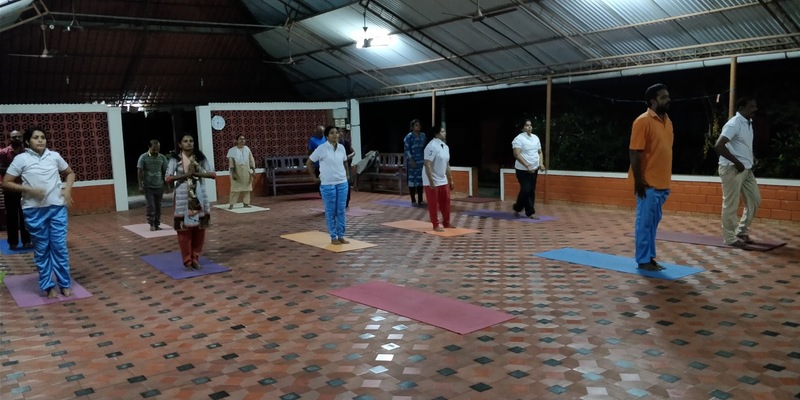 The camp started from Bhajan Sandhya on Friday evening and concluded on Sunday evening. Su Radha Didi- Dakshin Pranta Sanghatak and Sri Raghuji- Office Secretary, Central Office Kanyakumari, were there to guide the students on the Kendra activities and Kendra Karya Paddhaties, challenges and their responses etc. Swami Veerabhadranandaji, of Sri Ramarishna Math, Haripad, gave insights into the Raja Yoga of Swami Vivekananda. This is a bonus to all the students as they didnt expect to hear Swamiji. He was the Chief Guest for Swamijis Jayanthi celebrations at Kodungallur. At the concluding programme, the students expressed their feedbacks in front of Su. Radha Didi regarding their experience in Yoga Sastra Sangamam and also in the two days residential camp.